and June 27 at the CapitalBop Jazz Loft show. In the well-appointed surroundings of the Japanese ambassador’s residence up Nebraska Avenue NW, complete with eye-catching glass icicle-like chandeliers overlooking the audience and the musicians on stage, a VIP DC Jazz Festival kickoff event Monday featured fine music, wine and accolades for all who helped make this event a 10-year jazzy success. Festival founder Charlie Fishman was on hand to thank sponsors and television personality Maureen Bunyan, jazzradiodc.com mastermind Carl Farley and other notables added more glitz to the affair, which featured a concert starring Sadao Watanabe’s impeccable artistry with his smooth alto saxophone lines. 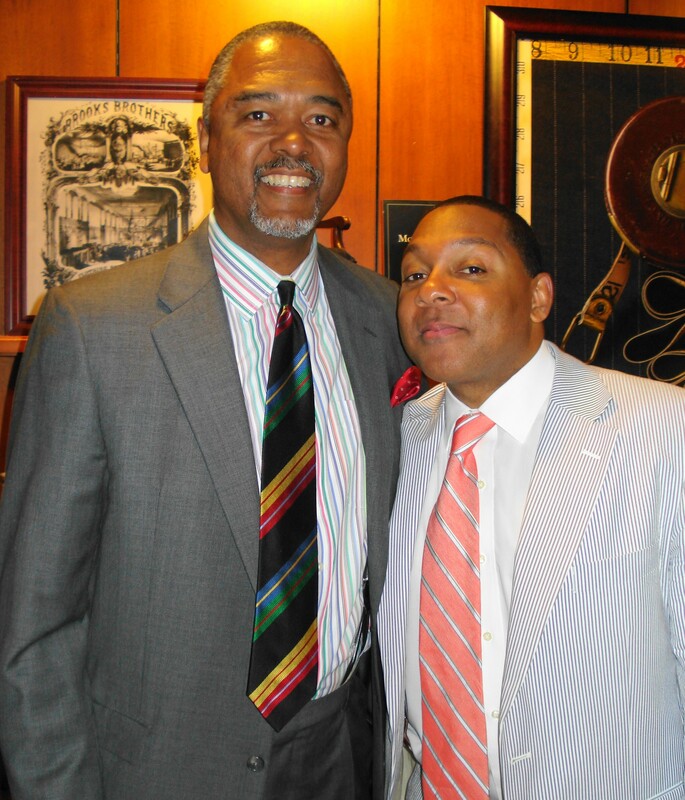 Carl David Farley, the impressario of http://www.jazzradiodc.com, shown here with Wynton Marsalis, was one of the VIPs at the DC Jazz Festival kickoff event Monday June 23 at the Embassy of Japan’s ambassador residence. DCJF X is underway at many venues around the city through Sunday, June 29, with headliners tonight, Wednesday, June 25, including pianist Cyrus Chestnut with his quartet doing a Brubeck Reimagined show at the Sixth & I Historic Synagogue downtown, with multi-genre pianist Marc Cary doing a Black Noize/SE Dance Jam event at the Anacostia Playhouse and Snarky Puppy at the Hamilton Live. 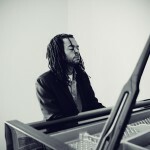 Tomorrow, Thursday June 26 has the Tia Fuller Quintet & the Helen Sung Quintet at the Hamilton, Marc Cary’s Retrospective Soul at THEARC in Southeast and Orrin Evans heading a CapitalBop piano cutting session at Union Arts DC. 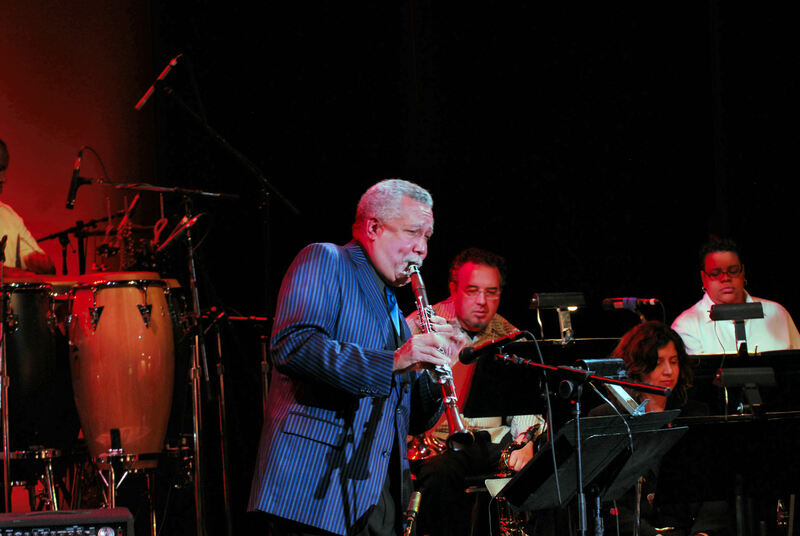 Friday June 27 highlights include Frederic Yonnet and Akua Allrich in Jazz at The Capitol Riverfront, Paquito D’Rivera’s Sextet at the Hamilton, Ginger Baker at the Howard Theatre, Olayimika Cole & Sam Prather at Wesley United Methodist Church, and Sharon Clark at the Loew’s Madison Hotel. Saturday features the music’s reigning vocalist of the moment Gregory Porter and Trombone Shorty at the Capitol Riverfront, Corcoran Holt, Ron Sutton Jr., Kush Abadey and others at Wesley United, and the Dizzy Gillespie Afro Cuban Experience with Machito Jr. at the Hamilton and Alison Crockett at Loew’s Madison. 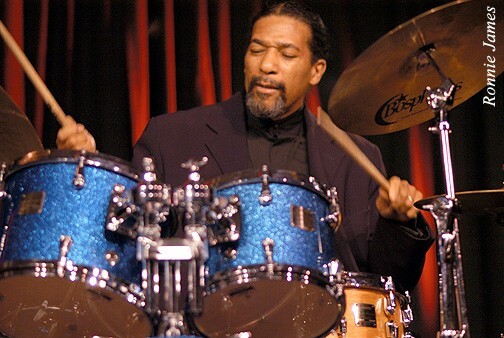 plays with his sextet Friday June 27 at the Hamilton Live. Sunday the Greater U Street Jazz Collective’s “Ballin’ the Jack” is at the Anacostia Playhouse and the legendary saxophonist Gary Bartz (after his Friday and Saturday night dates at An Die Musik in Baltimore) plays Bohemian Caverns. For complete information, including all the club gigs and the Renaissance Hotel cocktail hour sets today through Friday from 5 to 8 p.m., go to www.dcjazzfest.org. 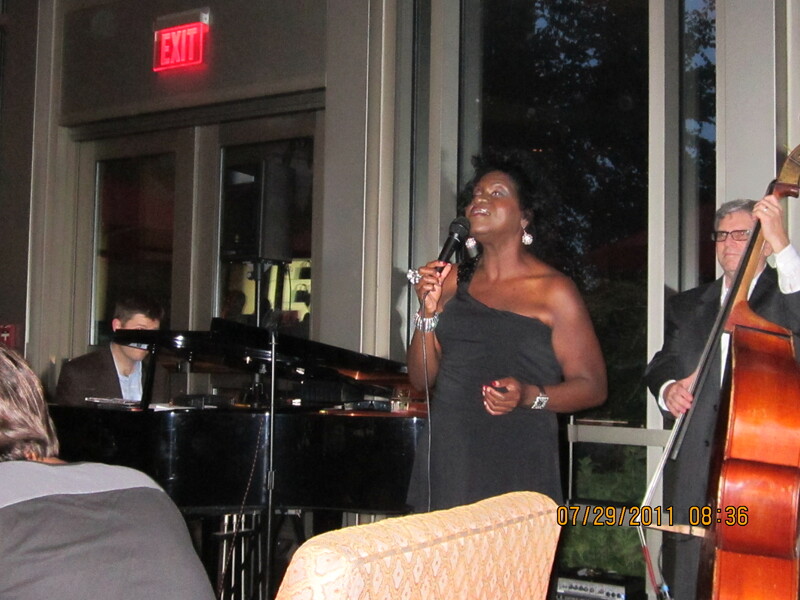 Sharon Clark is the featured vocalist for Late Night @ Loew’s Madison Hotel Friday June 27. Young guitarist Max Light begins a month of Tuesday shows July 1 at Twins Jazz, the Eric Felten Jazz Orchestra is at Blues Alley July 3, the same night Trio Caliente is at Loew’s Madison, and a Fireworks for Arnold Sterling show July 4 at Westminster features a group with Sam King, alto sax, Allyn Johnson, piano and Steve Novosel, bass. Vocalist Integriti Reeves is at the Hill Center July 11, the same night The Alison Crockett Experience, with sax man Marshall Keys, is at Westminster. Lena Seikaly takes the stage for Late Night @Loew’s Madison Hotel Sunday June 29. 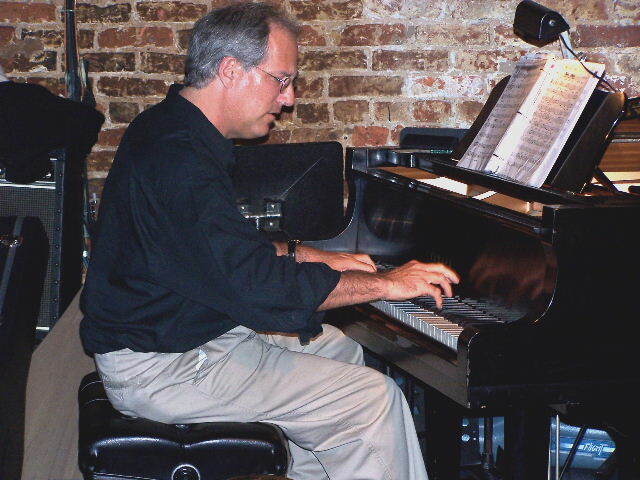 Having shown off his jazz funk, fusion chops a couple of months ago during a gig at the Anacostia Arts Center, Tim Whalen, one of our pianists deserving wider recognition, brought his more straight-ahead but still edgy ripples of pianistic artistry to Twins jazz last month. Whalen shined with his septet, featuring master alto saxophonist Marty Nau. See www.timothywhalen.com for more on Whalen. The Sakoto Fujii Trio + 1, closed out the Transparent Productions 2013-14 season at Bohemian Caverns last month, with pianist Fujii leading the way on some winding, melodic runs, with Todd Nicholson, bass, Oshi Shutto, drums, and Kappa Maki on trumpet darting, spearing and pounding runs of their own for an entertaining set of provocative compositions. Vocalist Emy Tseng brought her Brazilian-flavored show, featuring tunes like “Agua de Beber” and “Berimbau” to the Dukem Restaurant last month, backed expertly by Wayne Wilentz, piano, Dave Jernigan, bass and Jonas Durante, drums. Tseng’s arching, lilting soprano turned the evening into an enjoyable tropical journey, before an appreciative crowd. Wayne Wilentz, one of our piano masters, backed vocalist Emy Tseng for a night of Brazilian Latin jazz and other tunes last month at Dukem Restaurant. On a warm, pleasant evening Friday June 20, the usual bands of club goers and diners streamed up and down U Street, but between 12th and 13th those entering the Lincoln Theatre were in for a special treat: the debut of the Washington Renaissance Orchestra. The new big band in town opened up by swinging, with horns swaying and braying with melody and precision, into Woody Shaw’s “Moontrane” and swung hard all night. Artistic director Abadey was a powerhouse all night with his pulsating percussion and musical director Allyn Johnson sprinkled in vintage ripples on piano while also conducting his bandmates in the group’s debut performance before an eager and appreciative crowd. Washington Renaissance Orchestra in its debut June 20 at the Lincoln Theatre. Highlights from opening night also included saxophonist Charlie Young’s melodic work on “Anna Maria,” along with spicy riffs by baritone sax man Whit Williams; vocalist Navasha Daya’s fine reading of “Sweet Kiss,” which also had a superb solo by tenor sax man Brian Settles; bassist James King’s grooving lines on his walking intro to “Some Other Blues,” followed by a fierce solo by Johnson; the crackling horn section swinging on “Native Dancer” to open the second set; rip-roaring riffs by Settles and fellow sax man Elijah Balbed, creating their own tenor madness during Johnson’s “Freedom Warrior’s Suite,” also featuring Abadey’s pounding African-flavored drum work, seeming to call the ancestral spirits to take note – the WRO is on the scene to help honor the heritage of the music. Congratulations to Todd Marcus, the bass clarinet specialist, composer and bandleader, on being one of three 2014 Baker Artist Award recipients.Marcus, who has drawn acclaim for his most recent recording, “Inheritance,” receives a $25,000 award in the annual competition sponsored by the Greater Baltimore Cultural Alliance and the William G. Baker, Jr. Memorial Fund. And speaking of Baltimore-based artists, we give a happy shout out to saxophonist, composer, bandleader and educator Carl Grubbs, a Philadelphia native who became a stalwart of the D.C. scene back in the day, before settling up the road in Baltimore. Grubbs, a Baker Award winner himself a few years ago, celebrates his 70th birthday July 27. 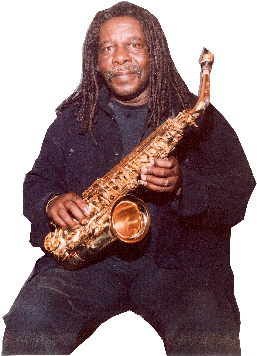 Carl Grubbs, sax man, composer, bandleader and educator.